Produktinformationen "DC MULTIVERSE SHAZAM MOVIE SHAZAM 15 cm ACTIONFIGUR"
Feel the power of SHAZAM with Mattel's new DC Multiverse figures based on the new Warner Bros. film SHAZAM! starring Zachary Levi as the World's Mightiest Mortal! All seven members of the SHAZAM Family are recreated in Mattel's 6" scale as well as the film's villain, Dr. Sivana. Each figure also comes with a mini-figure of one of the Seven Deadly Sins. Feel the mighty of the World's Mightiest Mortal with these figures! Window box packaging. 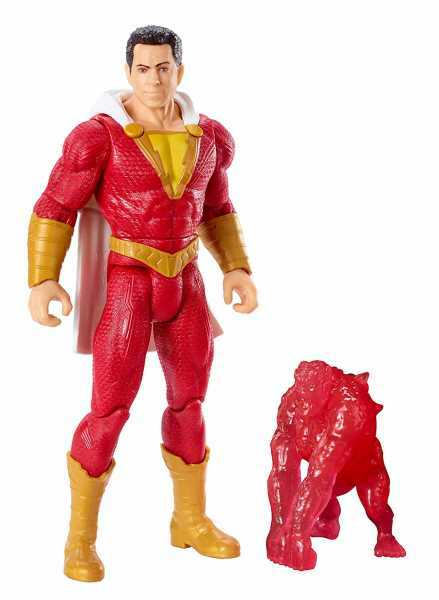 Weiterführende Links zu "DC MULTIVERSE SHAZAM MOVIE SHAZAM 15 cm ACTIONFIGUR"
Kundenbewertungen für "DC MULTIVERSE SHAZAM MOVIE SHAZAM 15 cm ACTIONFIGUR"